We’re hiring! Jokers Hill Estates is currently a seeking a full-time Station Manager. Located on the Oak Ridges Moraine in King Township, north of Toronto, the Koffler Scientific Reserve (KSR) at Jokers Hill is an internationally recognized site for cutting-edge research and education in biodiversity, ecology and conservation biology. The KSR seeks a full-time Station Manager who will report to the Director and will provide leadership for the administrative, and operational management of the KSR. The incumbent will, with the Director, develop and implement short and long-term plans for KSR; develop and implement frameworks to support research and other initiatives of KSR, implement operational and administrative structures within legislative, business and policy frameworks. The incumbent develops and implements effective administrative protocols and processes to ensure efficiency and effectiveness of KSR activities. The incumbents’ responsibilities will include: ensuring administrative infrastructures are in place to support the objectives and mandate of KSR, ensuring the effective use of information technology, legislative and policy compliance (e.g. OHSA, procurement policies etc. ), managing events/programs/initiatives and data administration. The incumbent will manage a small staff and be responsible for the full scope of management responsibilities including work allocation and building a strong team to meet the objectives of KSR. The ideal candidate will have, as a minimum, a Master’s degree in biology or a related field or equivalent experience; a minimum of 4 years of experience in program/project administration in private sector or in an education environment; experience working at or knowledge of a biology field station operations and activities; experience in the field of student learning and development; demonstrated management or leadership experience; proven record of professional leadership and experience working in collaboration with academic and community partners; proven ability to develop innovative and concrete administrative solutions to respond to organizational needs; demonstrated commitment to creating a positive student experience and supporting principles of equity and inclusively; experience identifying operational needs; experience with identifying and trouble-shooting equipment and infrastructure needs in a rustic setting. The Station Manager will be required to live on-site and serve as the on-site representative of the Reserve, available to attend to emergencies and to participate in activities outside of normal office hours. The incumbent will be provided with a residence on the Koffler Scientific Reserve and the cost of the housing will be applied as a taxable benefit. Salary will be based on experience and education. The incumbent will be employed by Jokers Hill Estates. 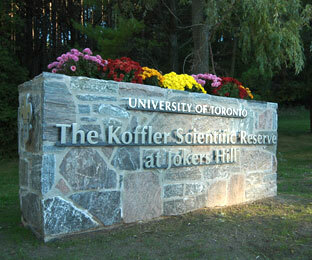 Jokers Hill Estates and the Koffler Scientific Reserve are strongly committed to diversity within its community and especially welcomes applications from visible minority group members, women, Aboriginal persons, persons with disabilities, members of sexual minority groups, and others who may contribute to the further diversification of ideas.